Want to find out about the latest gear and technology on offer for use in your OE programs? You’ve come to the right place. Any major new gear announcement or review can be found on our News pages. Simply search on gear and you can read the original post and comments. 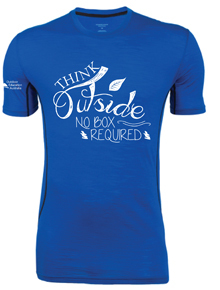 Special Icebreaker OE T-Shirts on Sale! The Men’s Aero SS crewe is made from the lightest weight merino jersey. Whether you have a weekend full of active sports, hiking or just want a great looking running shirt that you can wear day after day, the Aero’s flatlock seams and natural odour protection feel great and keep you fresh, no matter how hard you play. The Aero is superlight and breathable, made from 120gm merino jersey, feels great against your skin. 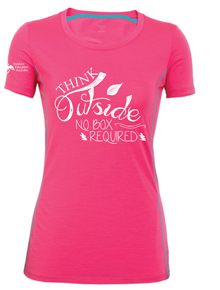 When you finish your hike or your run, you’ll be wearing a flattering, feminine v-neck tee that magically eliminates the odour from your workout. It’s as if you brought an extra shirt, only you don’t have to carry it. Magic! Please select your size and enter a quantity below.